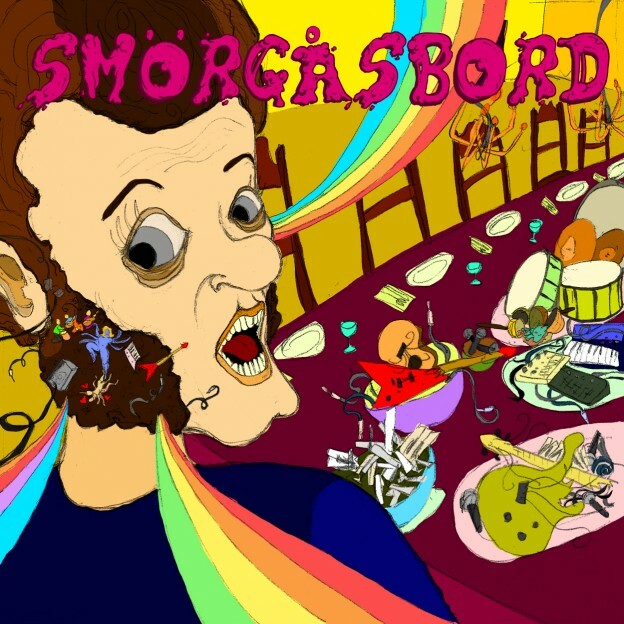 Smörgåsbord Vol. 2: Psiarrhea is the natural way to follow up a delicious psychedelic buffet. This sequel is once again compiled by Jeremy’s Aura and brought to you by Maia Brasil Records and Omnitropic. All the music is made with great love and joy, and to share such a collection of unique and inspiring artists is a privilege in itself. Satisfy your extended bathroom breaks and add some timeless psybient, chill-out, downtempo, and experimental tunes to your collection. Thanks for all the love and support! Great thanks to all of the artists involved for their amazing dedication to their passion! Hope you all enjoy it! Additional credits: Karina Ultra K (vocals on track 7). Original artwork by Jeremy Costa. Released in 2016 by Maia Brasil Records and Omnitropic [OMNI 017]. This post was published April 15, 2016, 4:42 pm by Basilisk. Category: Releases. Artists: Jeremy's Aura, Zoungla, Shantam, TRD, Tron Sepia. Styles: Downtempo, Deep Trance, Psy Dub.